The Cologni Foundation for the Métiers d’Art is a private non profit organization. Franco Cologni, its President, created the Foundation in Milan in 1995, to accomplish a «new Renaissance» of the crafts and rescue the heritage of the métiers d’art from the threat of disappearance. With these founding purposes, the initiatives of the Cologni Foundation are chiefly addressed to the young and to the training of the next generations of artisans. The Foundation promotes, supports and carries out a number of cultural, scientific and educational programs. Marsilio Editori publishes two series of publications – «Mestieri d’Arte» («Métiers d’Art») and «Ricerche» («Researches») – in which the Cologni Foundation retraces the history of these highly skilled practices from their origin up to the present day. Investigating the great tradition of Italian knowhow as well as the new interpretations of contemporary craftsmanship. The series «Storietalentuose» («Stories of talent»), published by Carthusia, introduces children to the fascinating world of Italian artistic crafts. The Cologni Foundation conceived, together with Swan Group who publishes it, the magazine «Mestieri d’Arte & Design» («Arts & Crafts & Design» in the English edition distributed by Vacheron Constantin). The magazine is dedicated to Italy’s craftsmanship of excellence and to «the intelligence of the hand», which is handed down through artistic crafts, in Italy and in the world. The Foundation’s project «A School, a Job. Training to Excellence» actively supports, with apprenticeship programmes, the training of young people in high craftsmanship and their introduction into the working world. The Cologni Foundation is also actively involved in many initiatives with prominent schools and higher education institutions: in Milan, with Università Bocconi, Università Cattolica, Milan Polytechnic, Creative Academy, Domus Academy; in Paris with EDC. It also cooperates with many international foundations and organizations, like the INMA (Institut National des Métiers d’Art). 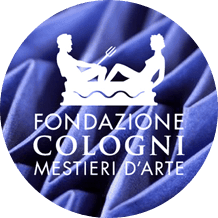 Cologni Foundation is a partner in the international network of the «Journées Européennes des Métiers d’Art» (European Art and Craft Profession Days).